Vertebral implants are generally the chosen treatment for compression fractures in the spine. A compression fracture occurs when a vertebra is fractured and as a result has decreased 15-20% in height. This is usually seen in patients suffering from osteoporosis, a condition that causes the bones to be brittle and weak. Orthopaedic Associates of St. Augustine is proud to offer our patients one of the best Spine Centers in the St. Augustine/Jacksonville area. In fact, Dr. Haycook, our spine specialist, is the only fellowship trained orthopaedic spine surgeon in St. Johns County. 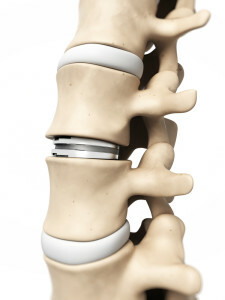 Vertebral implants are used to stabilize the fracture and ease pain. There are two types of implants: vertebroplasty and kyphoplasty. 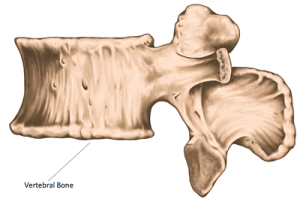 Vertebroplasty is a procedure in which an orthopaedic spine specialist will inject bone cement into the fractured vertebra to create an internal cast and increase stability. Kyphoplasty is a similar procedure where bone cement is injected into the fractured vertebra. The cement used is more viscous and is aimed at not only increasing stability, but reducing any deformity of the spine, should deformity occur. Both procedures are minimally invasive and usually allow patients to go home the same day. Both also have a high success rate in reducing the pain caused by vertebral fractures. If you’re suffering from a compression fracture, it’s very important for your health and comfort to see an spine specialist as soon as possible. If you’d like to meet with a specialist in St. Augustine, please request an appointment online or give us a call at 904-825-0540.